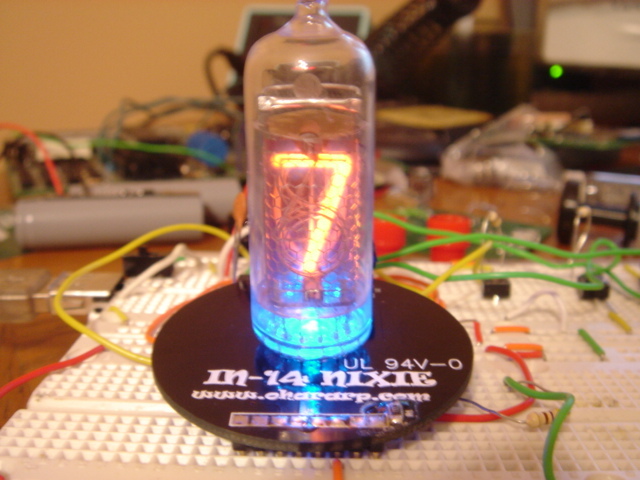 My Single Tube Nixie Clock is progressing right along in time to make for a great stocking stuffer for friends and family! I just got the top carrier board that holds the Russian Nixie Tube and High Voltage Driver. Once again the black solder mask is totally bitchin! Be sure to check out the latest video that includes the Super Bright (13,000 mcd) blue led and improved cross fading and blinking code.